Comments: This is a wonderful southern fern that tolerates a wide range of growing conditions, but does best in a fertile, moist soil that contains a lot of humus. Cut back ferns in the winter and if necessary ferns can be cut back in mid-summer and new fresh growth will emerge provided there is sufficient moisture. 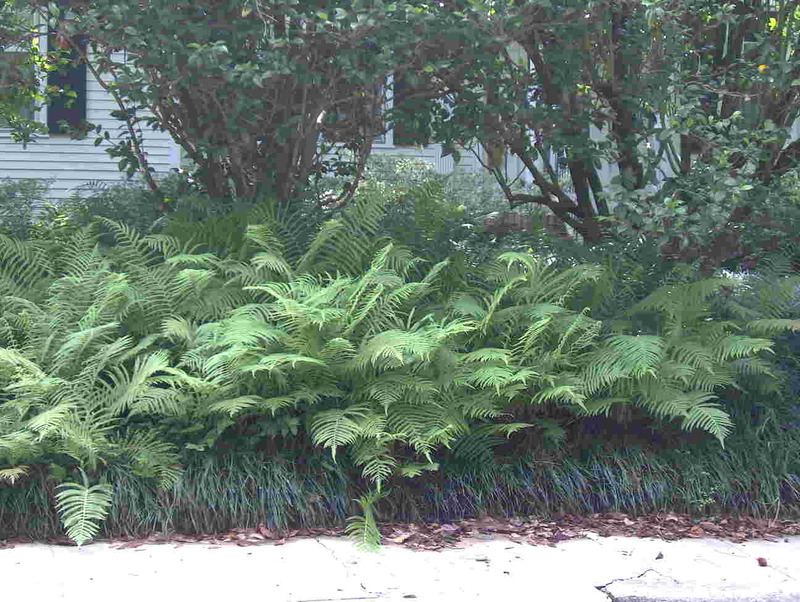 Ferns respond very favorably to the addition of nitrogen to the soil to promote more growth. This fern is an excellent ground cover in deep shade where many other ground covers may not grow. This fern is easily transplanted at most any time of the year.